Manage your spells anywhere and use them any time. 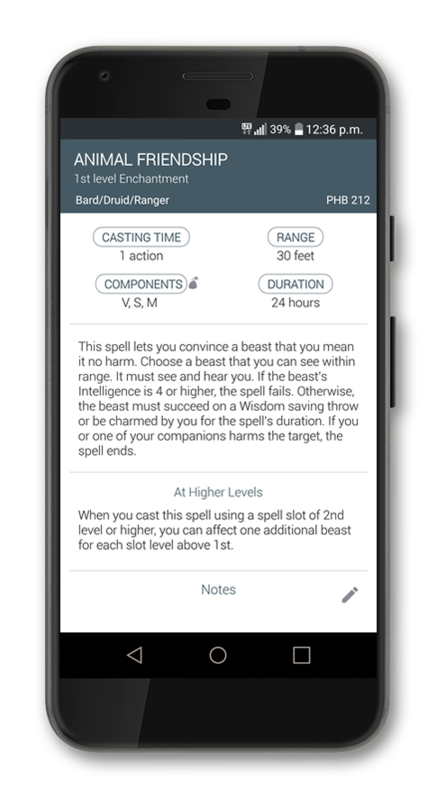 Create spellbooks and track your spells slots. Search and filter all spells in faster way. Create homebrew spells and share it with your friends. Add sounds to your spells and play them when you cast them. Backup your info and restore in other devices.